These wildflowers were found in the Columbia River Gorge of Oregon. 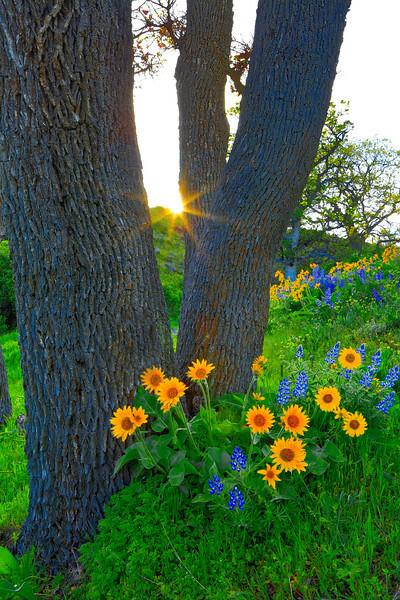 Balsamroot and Purple Lupine thrive during the Spring. The gorge is home to approximately 1,000 species of wild plants and flowers. Excellent shot, well spotted and executed perfectly. Exquisite intense saturation, wonderful dof! Love the starburst and colors! Very nice! I love the sunburst between the trees.